Spring Trout Season Opened April 6th! 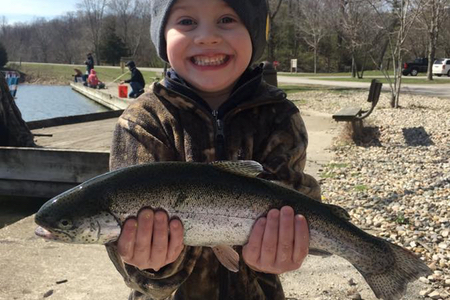 The 2019 Illinois Spring Trout Fishing Season opened on Saturday, April 6 at 58 ponds, lakes and streams throughout the state, with four new sites added for this spring. The IDNR stocks more than 80,000 rainbow trout each year in bodies of water where trout fishing is permitted during the Spring season and an additional 80,000 trout for the Fall season. 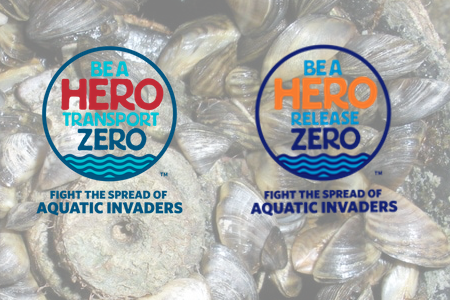 The Illinois catchable trout program is funded entirely by those who use the program through the sale of Inland Trout Stamps. 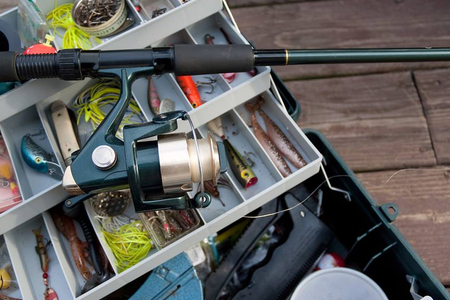 The 58 locations that will be open for spring trout season are listed here. 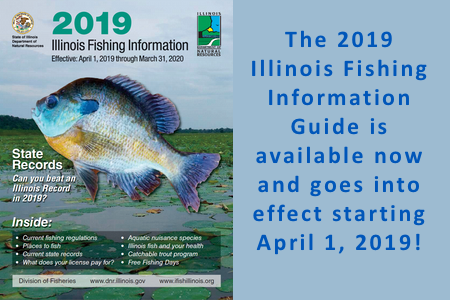 The 2019 Illinois Fishing Information Guide is available for download now! The information in this guide went into effect beginning April 1, 2019. A Spanish version will be available soon. You can find printed copies at your favorite sporting goods spot. 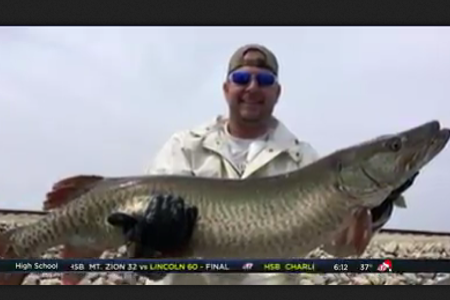 Check out this video of the early December muskie stocking at Lake Shelbyville. Once a destination for muskie anglers all over the country, the muskie population in Lake Shelbyville experienced a steep decline over 10 years ago. IDNR has been working to restock this population with limited success. This video shows a new procedure IDNR is using to try to increasethe survival rate of stocked muskie by stocking them later in the season into cooler water. Muskie were grown to a larger size in the Fin and Feathers Nursery Pond at the lake in hopes that these bigger-sized fish put into cooler water would have increased survival rate. 2,349 muskie were fin clipped and stocked into Lake Shelbyville from Wolf Creek State Park and Findlay Marina boat ramps. Remember it's very important that if you catch a muskie, you fill out our muskie creel survey.